A star-spangled space adventure. One day a little boy finds an aeroplane in his cupboard. Up, up and away he flies, high into the sky. He whizzes past clouds, stars and planets – until suddenly he runs out of petrol! Miles from earth, he crashes into the moon. Just as he is getting cold and lonely, a friendly martian appears, also with a broken aircraft. Together they come up with a super rescue plan. But will it work? Will the boy find his way back home to Earth – and will the two friends meet again? 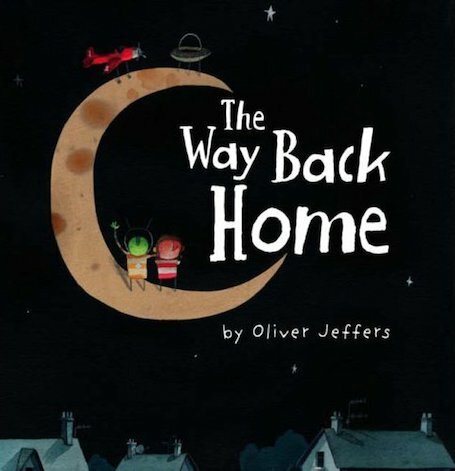 From shining talent Oliver Jeffers, this rich and unusual story of friendship and exploration shimmers with colour and invention.